Knitting Like Crazy: And the winner is. . . . Thanks everyone for all the wonderful comments on the scarf! I really appreciate everyone's continued support and I enjoyed reading every single comment. And now onto what you all have been waiting for. The winner (as determined by the random number generator) is . . .Knittingdancer!! Please check your Rav messages, knittingdancer, I sent you a message. 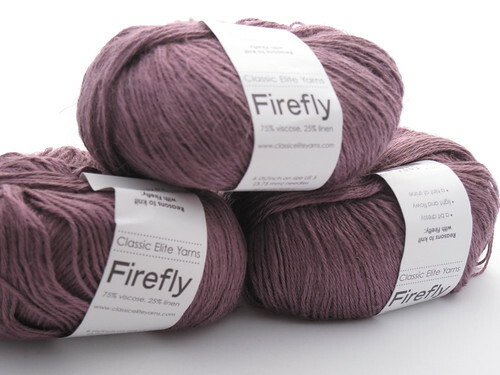 Hope you enjoy your three balls of Firefly to knit your own Firefly Foxmoor Scarf. Thanks everyone, and I hope you all enjoy knitting the pattern! Sad that you didn't win? Well, there's still time to sign up for my Mystery Shawl KAL which starts on Friday! Sign up in this Ravelry thread. There are prizes to be won! Tempt, tempt.